In an emerging digital era where digital content delivery is on the rise many AV enthusiasts and ‘convenience’ users want a better way to store, display, and enjoy growing libraries of TV, movies, music and other digital content. This vast market has experienced a surge of pre-made set stop devices and less than perfect set top box attempts by cable & satellite providers to assist with digital entertainment. Many devices on the market serve only one or 2 purposes leaving a void in usability and the need for multiple pieces of hardware stacked by the TV. What everyone needs at these uncertain times is a way to save, store, organize, and enjoy all types of videos, music, and digital content from the comfort of the couch without restrictions. The only proven solution is a full scale computer. Now most tech savy guys would simply suggest dragging the family PC into the living room, hook it up and enjoy. Others would simply use a laptop with the appropriate VGA, DVI, or HDMI output and tether to the TV. This method however has 2 major flaws. Firstly this requires the time and energy to setup and breakdown the hookups taking away from valuable movie or TV time and leads to some frustration when cables lay everywhere for the eye to see. Secondly your everyday PC will contain other files and programs that may interfere or degrade the performance of your playback experience. The solution? A dedicated computer for the storage and playback of your TV and movie collection. In addition to less fuss this setup will allow you to not only watch digital content but enjoy everyday programs and perform regular computing tasks from the comfort of the couch. A proper setup also leaves the TV cabinet or stand tidy and clean in appearance. A major component of any PC setup is the motherboard. Think of the motherboard as the backbone of the system, bringing together all the other components to function as harmonious system of entertainment. AMD recently released the Brazos (Fusion) platform consisting of one or two Bobcat cores and Radeon HD6 series graphics with a Hudson Fusion Controller to add features such as SATA, USB, and HD Audio. AMD has combined the efforts of CPU and GPU (Graphics) to create the Fusion APU (Accelerated Processing Unit) enabling overall increased computational power with low power requirements (TDP). 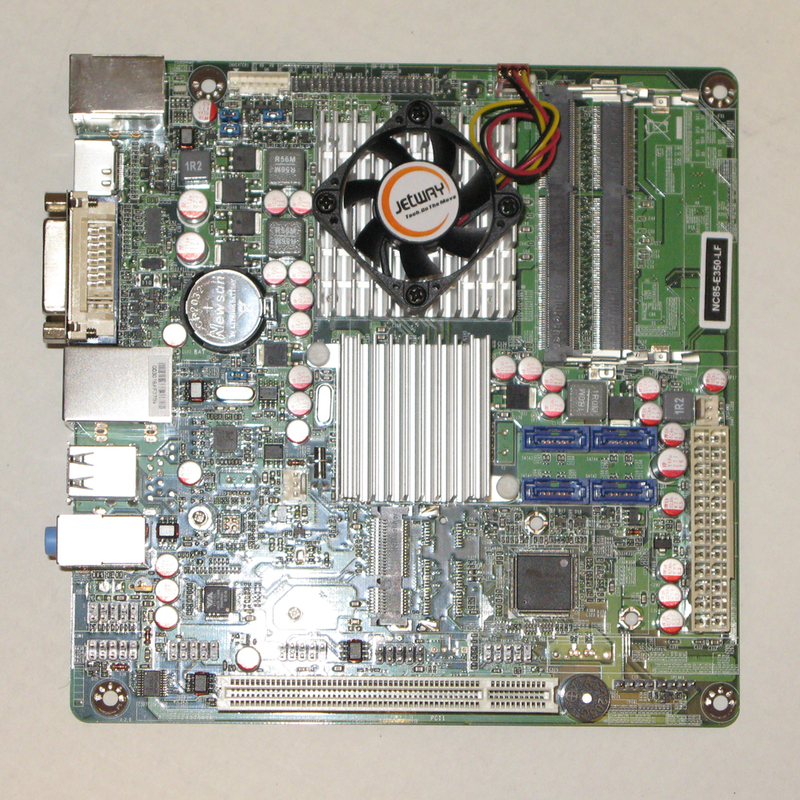 The Brazos platform under review here today is the Jetway NC85-E350-LF Mini-ITX AMD Fusion Motherboard. This platform consists of 2 Bobcat cores with a CPU clock speed of 1.6GHz and Radeon HD 6310 graphics all for 18 watts of power consumption. 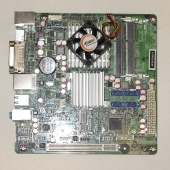 Let us show you the small form factor, high speed computer solution for your big screen TV multimedia needs.